Sami Sallinen | Students recite biblical texts under the supervision of a senior monk at the Debre Bizen Orthodox Christian monastery in the Eritrean highlands. Christianity was established in Eritrea in the 4th century AD. 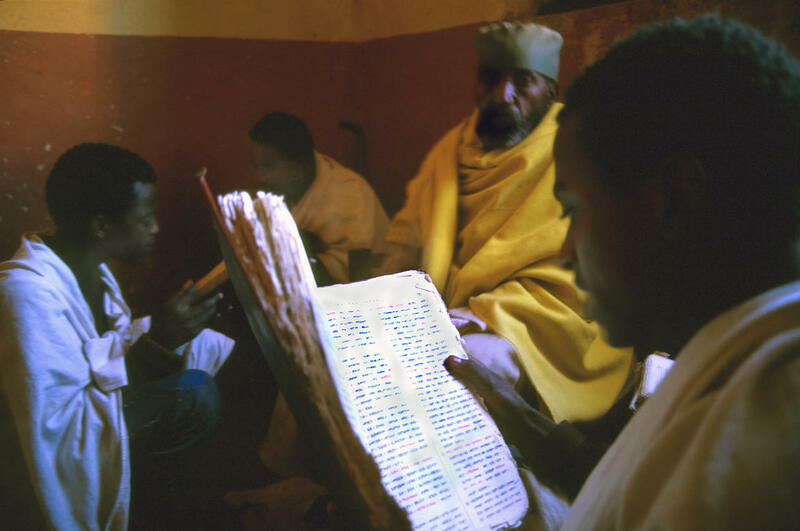 Students recite biblical texts under the supervision of a senior monk at the Debre Bizen Orthodox Christian monastery in the Eritrean highlands. Christianity was established in Eritrea in the 4th century AD.